In 2016, the SEALS Swim Team from Granbury, TX, enjoyed touring Ireland from August 16-23, visiting Dublin, Wicklow, County Meath, Sugarloaf Mountain, the Cliffs of Moher and Galway. The exciting trip to Ireland began with a panoramic Dublin City Tour, including O’Connell Street with its monuments, the exterior of the Customs House and the Old Parliament building and Georgian squares, before visits to the Phoenix Park Museum and stadium, the GAA Museum and Croke Park Stadium. The SEALS Swim group practiced at UCD on each of their first four days in Dublin and also found time to take in Wicklow’s Historic Gaol, Kilmantin Hill, Trim Castle, the scene of the Battle of the Boyne and Drogheda, before enjoying a hiking tour of the Sugarloaf Mountain. A guided tour of the Tall Ship and Famine Museum and the Jeanie Johnston Famine Ship was followed by a visit to the Glasnevin Cemetery and Museum and the Book of Kells at Trinity College Dublin. 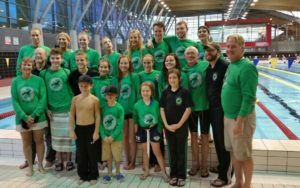 Ever competitive, the Seals Swim Team took part in a friendly swim meet at University College Dublin, before heading to discover the Cliffs of Moher, Galway, the Aran Islands and Dun Aengus Fort. Just for good measure, they climbed Diamond Hill in Connemara National Park before returning to the United States.